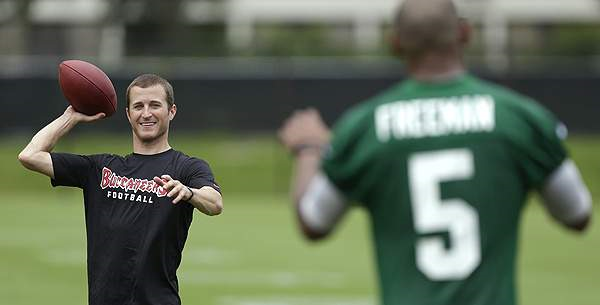 What the heck was Kasey Kahne doing at the opening day of Bucs’ minicamp? He likes the NFL – particularly the Seahawks. That makes sense, since he’s a Washington native. But he came to Tampa on Tuesday to check out the team, and even throw a few passes to starting quarterback Josh Freeman.